The She's Wired Gift Guide is here with tech gifts for anyone on your list. For your home or for your gadget loving relative, we’ve picked some of the best tech gifts around. Portal from Facebook: Use this video smart camera to interact with family and friends like you are in the same room. The handsfree device lets you move and talk freely around the room. Google Home Hub: With just your voice, check your commute, see your entire day’s schedule on the screen, or start an evening routine that turns off the lights and sets your alarm. Echo Show: Ask Alexa to show lyrics to your favorite song, to show the weather forecast, your calendar, or a movie from Prime Video. You can ask her to make video calls, too. Bose Home Speaker 500: Delight yourself with the sound from this Bose speaker. Alexa is built in to accept your voice commands. Two drivers point in opposite directions to deliver the sound. JBL Flip 4: Need a Bluetooth speaker that is waterproof for on-the-go moments? Connect up to two Bluetooth devices for some impressive stereo sound. Sonos Beam: Add this compact soundbar to your TV for amazing dialogue clarity and more. It works with Alexa so you don’t have to reach for the remote. Fire HD 8 Kids Edition Tablet: Surprise them with a full-feature tablet of their own surrounded by a kid-proof case in their favorite color. The Fire has 32 GB of internal storage, 10 hours of battery life and comes with a 2-year worry-free guarantee. Lego Women of NASA: Inspire them with the lives of four pioneering women of NASA - an astronomer, a computer scientist, an astronaut and physicist. Includes blocks for building a hubble Space Telescope and a Space Shuttle Challenger. Optima Home Theater Projectors: See the big picture in the comfort of your own home with one of Optima’s projectors designed for any size room. iRobot Roomba i7: Put housework at your fingertips with this Wi-Fi connected vacuum cleaner that works on different floor surfaces and adapts to each room. Mr. Coffee 10-Cup Smart Optimal Brew: Pick up your smartphone to start the coffee before you get out of bed or set a reminder to make sure your coffee is just the right temperature. iPhone Wallet Case: Carry more than your phone with this case that also has room for cash and credit cards. This case puts everything at your fingertips. W3 Stand for Apple Watch: Check out this vintage design, which is a throwback to Apple’s first computers. Connect your watch to the charger and use the stand like an alarm clock. Furbo Dog Camera: Do more than watch your dog. This camera, controlled by an app, also delivers treats, and lets you “chat” with your dog via 2-way audio. 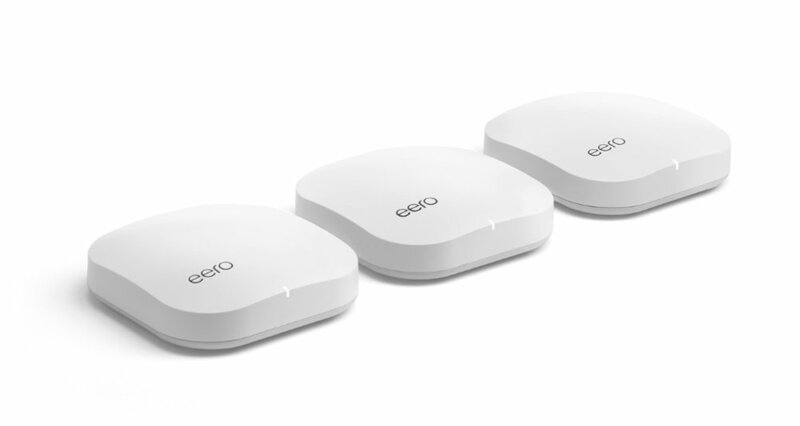 Eero Mesh Network: Put an end to dodging WiFi dead spots in your home. Life is too short for spotty WiFi. The Eero replaces your home router and blankets your house with a continuous and robust WiFi signal. Now you can spend more time watching movies and less time waiting for the buffering to stop.